Cooper Dillon Books, 9781943899029, 40pp. Transcript is an assemblage of lyrics pointed at domestic anxiety. It wends a way through American myths of familial tranquility and professional stability, while addressing the insularity and isolation that arise from artificial forms of community. 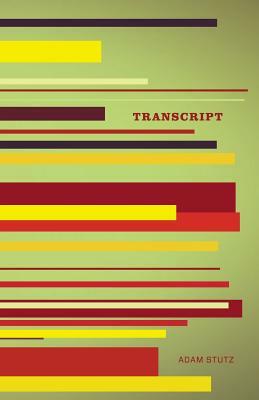 While Transcript acknowledges its own melancholy, it also asks the reader to discover beauty in these fractures, reminding us that " In the silence between words where / only heavy blind-spots exist, / these are love-songs / that live for attention.]"